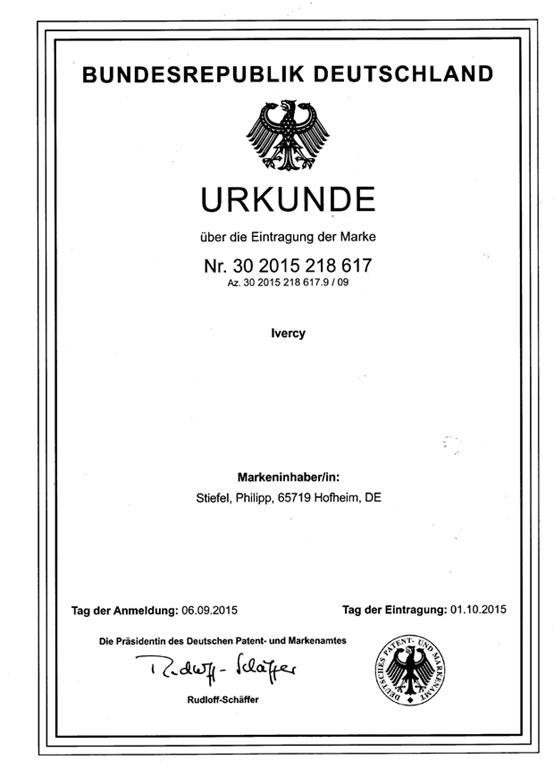 Today I received the official certificate of our trade mark registration of Ivercy® from the Deutsches Patent- und Markenamt (the German Patent and Trademark Office). So we are legally permitted to use the ®-Symbol marketing Ivercy® in Germany and the European Union. We are not obliged by German law to actually use the ®-Symbol for the trade mark to be enforceable. As we are marketing Ivercy to a global audience and our international customers, especially in the US, might feel mislead, when seeing the symbol on our web site and other documents, we do not plan to use the ®-Symbol in our official public communication though. Have a great day and enjoy whatever you do!